Before we head into our Christmas holiday series lets take a quick stop in the fall for Thanksgiving. Here is just one of the photos I took on vacation in Las Vegas. This was taken at the Bellagio Conservatory. 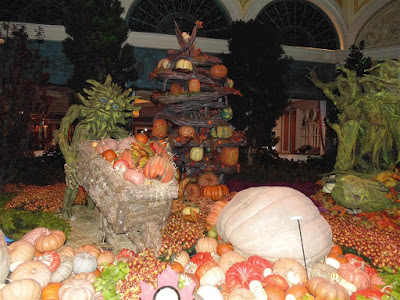 They change the display seasonally at the Bellagio and its has free admission and is open 24 hours a day. Its been a stressful week here so time to flashback to a peaceful time I had recently at Bloedell Reserve on Bainbridge Island in Washington. 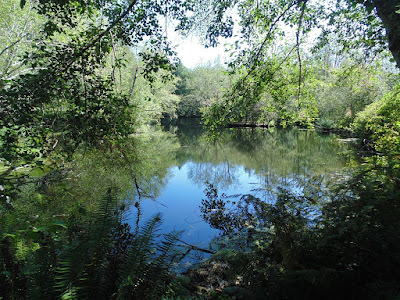 This was a nice serene pond that had a postcard perfect look. Along with the birds chirping and little frogs hopping. Hope everybody has a great weekend. So I was all set to do a nice North Short photo excursion on Sunday until I ran into the massive traffic jam where I went nowhere for two hours. So instead I’m going to go far far away and share some vacation photos. 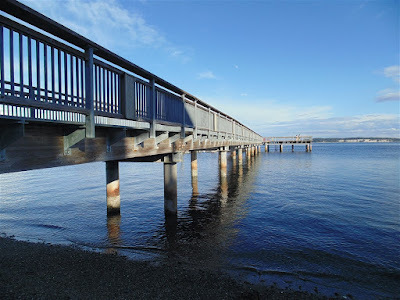 Here is one of the pier in Port Townsend, Washington. While I was on the pier I actually got to see a sea otter swim buy. Though he moved way too fast and I only got a couple blurry pictures.